The “100-Mile Diet,” sourcing your food from within a 100-mile radius, has been a popular movement among the locally-minded for the past decade. 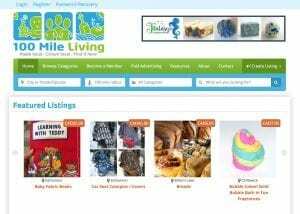 Medea Curteanu and Natalie Moreno decided to take it one step further by creating 100 Mile Living, an online hub for listing and finding all things locally made or grown, regardless of where one lives. Launching publicly on April 22 to Alberta and B.C., 100 Mile Living connects local makers with people looking to buy their products. 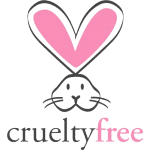 “We wanted to extend that purchasing power of the 100-Mile Diet to everything for everyday living: children’s items, art, jewelry, health & beauty products and more,” says Medea. Lowen’s Skincare is a sponsor of 100 Mile Living. 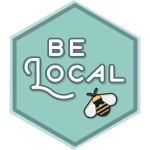 Medea first learned about Lowen’s when she was researching other resources for local living and came across REAP Business Association – of which Lowen’s is a member – and the Be Local Lip Balm. 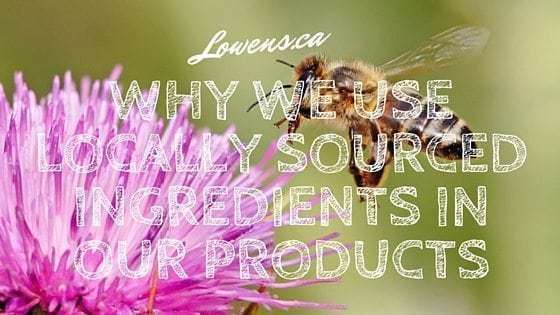 “His products really fit in with what we’re trying to do,as most of the Lowen’s products are made with ingredients that are grown as close to home as possible and/or are organic or fair trade” says Medea. The stories behind the businesses and products are Medea’s favourite part about her work with the website so far. Barriault Ranch, which makes candles and soaps out of beeswax and goat’s milk, is another example. The Barriault family moved from Edmonton to a farm in the country to live a “more natural life” for their disabled son. “It just touches you,” says Medea. 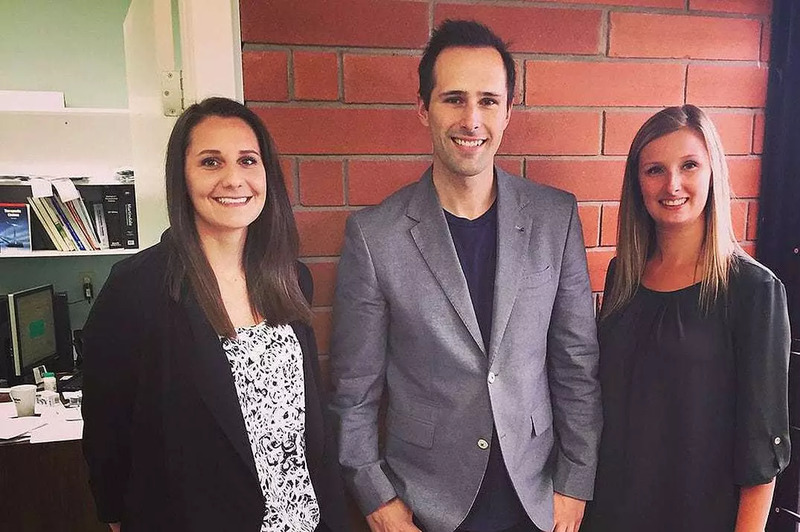 Medea and Natalie hope to eventually expand the website across Canada. 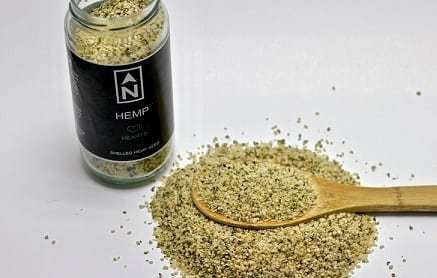 They want 100mileliving.ca to become the “go-to website” for conveniently finding and making informed purchasing decisions about the products being grown and made in one’s own community. 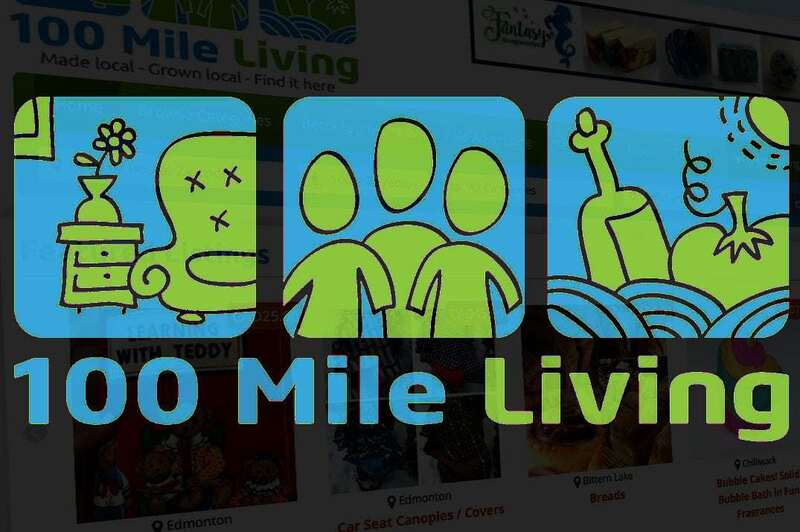 To learn more about 100 Mile Living check out their website today and set your local exploration on the right foot!